Those with the Apple iPhone 7 Plus might understandably wish they had upgraded to the Apple iPhone 8 Plus or Apple iPhone X, especially if they like the Portrait Lighting feature on the new models. With Portrait Lighting, users can create certain depth effects with the background of a portrait, including a black background that completely hides the location where the portrait was snapped. Until now, those with the iPhone 7 Plus had to jailbreak their phone in order to access the feature. 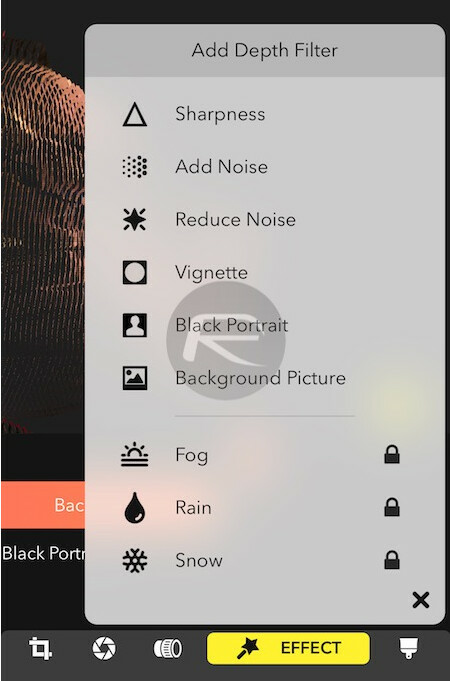 But now, a photography app named Focos that has already been sitting in the App Store, has added a new feature called "Black Portrait" mode that will allow the iPhone 7 Plus to use some of the same Portrait Lighting options found on the iPhone 8 Plus and iPhone X. Depth effects similar to what Portrait Lighting offers is available using the "Black Portrait" and "Background Picture" filters. Focos is a free app and requires that the iPhone it is loaded on have a dual-camera setup for the "Black Portrait" mode. That means that the feature is only compatible with the iPhone 7 Plus, iPhone 8 Plus and iPhone X. All other computational photography features available from the app can be used on the Apple iPhone 5s or later, running iOS 11 or higher. To download the app on your phone, click on this link. Hope Apple won't take it down. Cause it was designed for iphone 7 plus! Or other iphones with dual camera!